What are the most common types of jobs you offer clients? 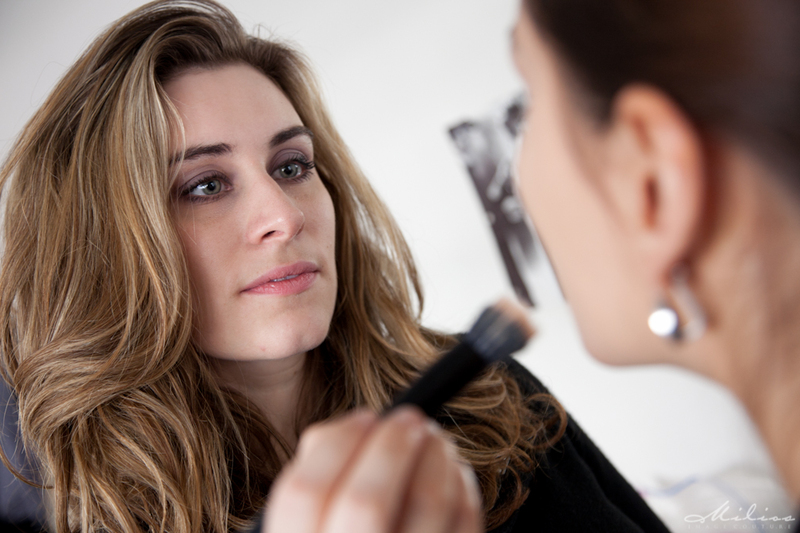 What advice do you have for a bride looking to hire a makeup artist for their wedding day? Do your research. Book a trial session. Ask questions about touch-up services, touch up kits, do they have a website? Do you and the artist have similar tastes in makeup? Call the artist and ask a lot of questions. Do you like her personality? Will she be fun to have around on your special day? Check online reviews. Why does your work stand out from other makeup artists? I love the face. It’s possible to achieve a smooth, clean, glamorous makeup look for everyone. I love to enhance my clients best features. I also have over 10 years of experience working in production, in salons, and with celebrities. Experience counts!! I often get calls from frantic brides that their makeup artist cancelled on them the day before their wedding or is going on vacation that month. I make sure my brides come first. It’s my client’s most important day. They can count on me to always be there. Building relationships with my clients. I have worked with the same people for years. That’s because I love to listen to what my clients are looking for. What schedule they have so I am on their agenda. Also hearing about their lives an be exciting too. Making new friends is a great perk of the job. How did you decide to become a makeup artist? I’ve always loved skincare and makeup since I was a child. I would collect products and treat them like treasures. One day I was in between college and wasn’t very happy. My cousin, Sarah recommended beauty school. I went to check out Brown Aveda Institute in Mentor, OH and didn’t look back. Do you do some sort of continuing education to keep up with latest developments and trends? Yes I take lessons every once in a while at a makeup school In Los Angeles. Most of the time it’s about keeping up with the trends and practicing them on a model. I also take art classes every month. It’s my way of keeping up with color theory and some therapy. What kind of products do you use on clients? For skin care it’s always Arbonne. I believe in Vegan organic products. They are sustainable and up to European standards. No harsh chemicals and they smell amazing. Cosmetics I have everything from Bobbi Brown to Makeup Forever. I have the perfect products to suit anyone’s skin type, textures, or needs. Anytime. Day or Night. I have clients that sometimes need meet at 3 am and some that have events late at night. I also travel with clients so whatever their schedule is for their trip. Do you offer private makeup lessons if I want to do my own makeup for my wedding? Yes I offer a range of makeup lessons. I offer a bridal class. Sometimes the Bride has a smaller beauty budget. There is no reason she can’t have a professional application on her special day. This class is also great for destination weddings when I am not able to travel with the bride. What question do you get most from your clients and what is the answer? Do I travel with to clients for services? Yes!!!! So if you don’t have it in your budget to hire a makeup artist or hairstylist for your wedding and you never got around to choosing your style, do not fear. I have some great tips to help you look your best in a few easy steps. Color in a pot. You need a pop of color because in photos 70% of your makeup will disappear. You need to up the blush and lips and they eyes to stand out. So something that can be worn on cheeks, lips, and eyes is a big help. Hair Gloss is great because your mane should look healthy and shiny. Apply a small amount and your hair will look fabulous. 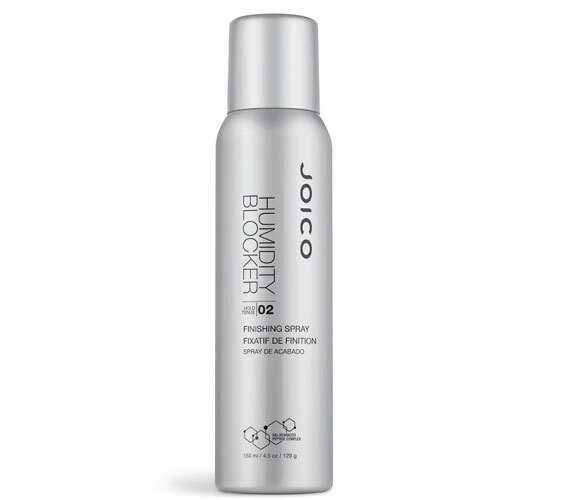 Suffering from humidity? There are humidity helpers out there. Apply the serum and it locks in the moisture while not letting any more in. Foundation is a MUST. A smooth and even complexion is a must. You will be so happy when you see your photos. It can be very helpful with dark circles or any sudden overnight blemishes. Make sure you are correctly matched by a profession to ensure you have the correct color. Dry Shampoo is on the list because it helps to have volume when creating any hairstyle. It helps it to stay in place and to give some volume. Splurge, Cut Corners, or Don’t Buy It? Do you find yourself wondering why you spent $30 for your lipstick and your girlfriend spent $4 and her color looks so amazing. Are you going back and forth deciding to get that laser treatment or just try another cream to fix those dark spots? I have some tips to help you decide what’s worth the spurge and where to cut corners. High End Foundation and Concealers. 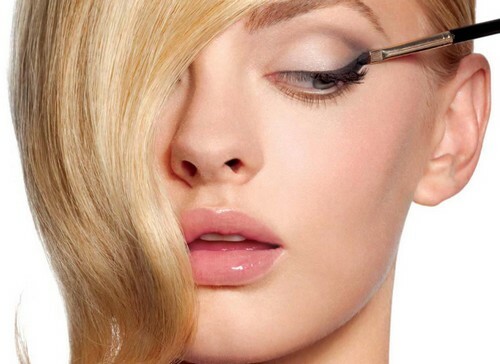 The more expensive formulas your can afford are worth it. The products have more refined pigments, they go on the skin much smoother and look like you have nothing on. The higher end formulations are better for sensitive skin types. Unless there is fragrance in the formula. So not all expensive formulations are created equal, but that is a whole other article. The concealers also blend more easily and when applied correctly won’t smudge or fade. Trendy colors go in and out of style so fast you will use these shades a few times before it’s time to buy the next trends. Cosmetics infused with antiaging products and sunscreen is a waste of your time. You should never replace your quality skincare and sunscreen with makeup that claims to have these ingredients. The makeup does not absorb into your skin like a serum and moisturizer. Your sunscreen is much more effective than a foundation or powder with sunscreen. Do you know how thick you would have to apply your makeup to get the proper coverage. Enough to make you look like you have on way too much makeup. Remember, good skincare gives you a great complexion so that you can wear less make up. Shop around. 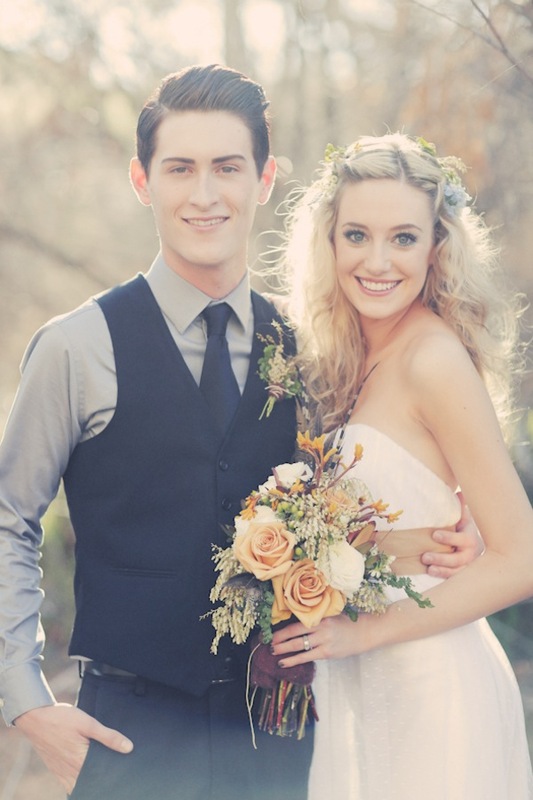 Check out the most popular wedding websites today www.theknot.com and www.weddings.com. These sites have a wealth of information and the best vendors available for weddings and events. Contact an Artist in your area for pricing, makeup brands they use, and what level of expertise they have. Find out how many weddings they do a month. Which ones seem friendly and appealing? You’ll know when you hit it off with the right one. Schedule a trial. The easiest way to test a make-up artist out is to schedule a trial. Bring a few pictures of how you would like to look on your wedding day so your artist will have a better idea of how she will create your favorite look with your features. An experienced artist will have a lot of suggestions for you. This is the time to pay attention to how the products feel on your skin, the finish of the foundation, the color of the eyes, cheeks, and lips. You can easily make any changes at his time. Get the timing right. 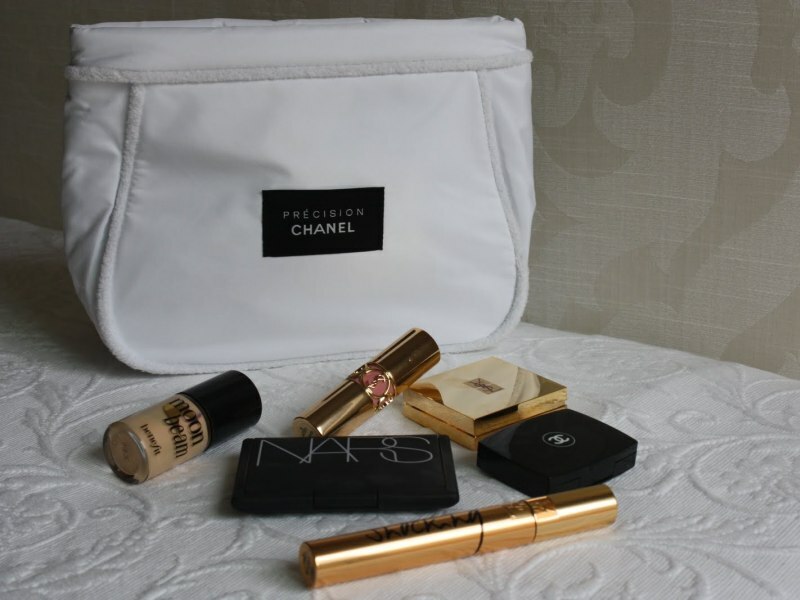 Know how many people will be needing make-up for the wedding. Provide a list of names to the make-up artist so she can account for everyone you are paying for. It usually takes 45-60 minutes per make-up application so if your bridal party is large your artist should have an assistant for the day. The cost of the assistant should be included in the contract. Don’t forget about touch-ups. After your trial check with your make-up artist about purchasing an extra lipstick and eyeliner for you for easy touch ups. 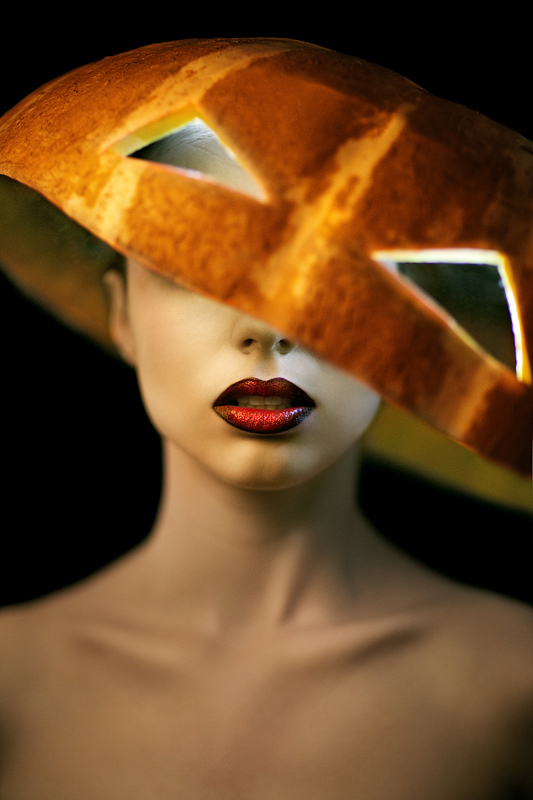 Keep your concealer and powder handy too for touching your face up and keeping shine away all night for pictures. Even though a tip is not expected you can throw in an extra 10% if you loved the results. There should be no surprises! Your artist should have a contract agreement with the cost, where she will be providing the make-up services, and the deposit requirement. A: Waterproof mascara isn’t bad for your eyelashes. Make sure to be gentle when you are removing it. Use an oil based eye make-up remover and use a cotton pad to gently soak your lashes and then glide the remover down to the tips of the lashes. I always like to rinse with water after. A great eye makeup remover is Laura Mercier Flawless Skin Dual Action Eye Make-up Remover Oil-Free ($22.00). It works quickly to remove all make-up even waterproof, fragrance-free, and gentle on the eyes. 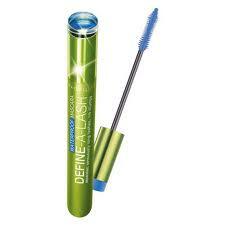 Beauty on a Budget: Maybelline-Define-A-Lash-Volume-Waterproof-Mascara ($7.49) Great for more length and separation with a soft definition. The wand is rubber bristled and can be applied easily. This mascara will not clump. I use this mascara a lot for photo shoots and private clients. Serious Drama: Lancome Definicils Waterproof Mascara ($27.00) Length, volume, separation, definition. This mascara does it all and won’t smudge. A rare trait is that the texture of your lashes when dry, will be soft. 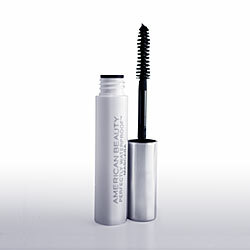 The Mascara For Everyone: American Beauty Perfectly Waterproof Mascara ($14.00) You need just a few swipes of this formula for added length and volume that lasts all day and withstands water. If you haven’t heard of this brand it is sold exclusively at Kohl’s. This mascara adds drama without looking very dramatic like the Lancome mascara. 2013 is right around the corner. This is the perfect time to make sure you are using the best products. Our skin changes from season to season, with age, hormone levels, and stress. You should make sure you are using the right products for your skin type and check your sun screen to see if it’s expired. Every new year I open my make up bag, dump it out and start over with fresh makeup and skin care. It’s easy to start with the basics. Eyeliner Make sure you have a black liner for dramatic looks and depending on your eye color one for every day. Mascara- Have you tried Estee Lauder’s Sumptuous Mascara? This light formula lifts, separates, and adds drama to your lashes and doesn’t smudge. Bronzer- If you can find a bronzer/highlighter duo this is perfect for contouring and highlighting for a perfect look. Blush- Try a peachy pink shade. This will add warmth to the skin during these last few cooler months and it blends well with bronzer. Lip Gloss- For the new year I recommend trying something new. A great berry shade looks good on all skin tones. Lipstick- Go for a bold color. I love red. It’s classic and always turns heads. The Most Scientifically Precise Foundation? Finding your perfect foundation match can be a huge pain. I have matched thousands of people with the right shade of foundation and it can be tricky. For those who don’t know how to correctly match foundation and are searching tirelessly up and down the make up isle or spending half the day at the mall there seems to be an answer to your prayers. 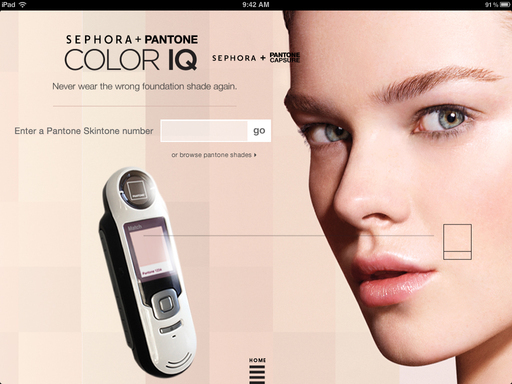 Sephora and Pantone Color have designed an app that will choose the best possible foundation for you. With the use of a Spectrocolorimeter that takes 27 photos of your skin and spits out number between 1 and 110 based on your skin tone and the warm or cool undertones. When you get this number the app searches through thousands of shades sold at Sephora to find your perfect match. Is the beginning of the end of beauty advisors at your local mall? I can already go to an app that will give me my own personalized skin care regimen. 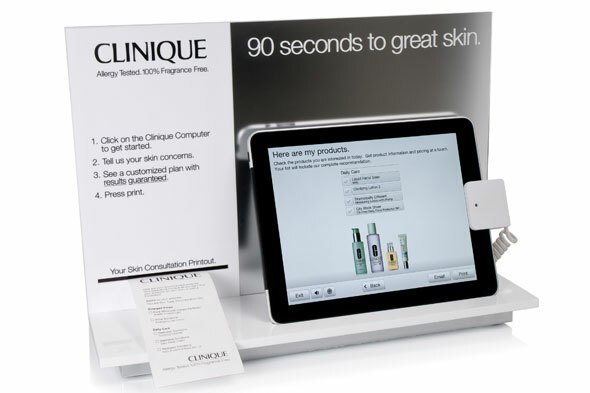 I just answer a few question at any clinique counter on their Ipad app. They ask questions about where I live, how much sleep I get, my main skin concerns, if I’m sensitive, a few other questions about my lifestyle and I have everything printed out or email to me. They recommend everything from Cleanser to the best treatments based on my answers. As a makeup artist I can see the flaws in the Sephora app. There are so many clients that need a corrective color for their skin. Primers aren’t always enough. If this app can offer a yellow based foundation to someone with a redness concern and not go overboard, I will be impressed. There are so many factors that go into a perfect foundation match. What about Skin type or concerns? Twenty year old skin doesn’t need the same formula as someone that is over 50. I am interested where Sephora plans to take this technology.